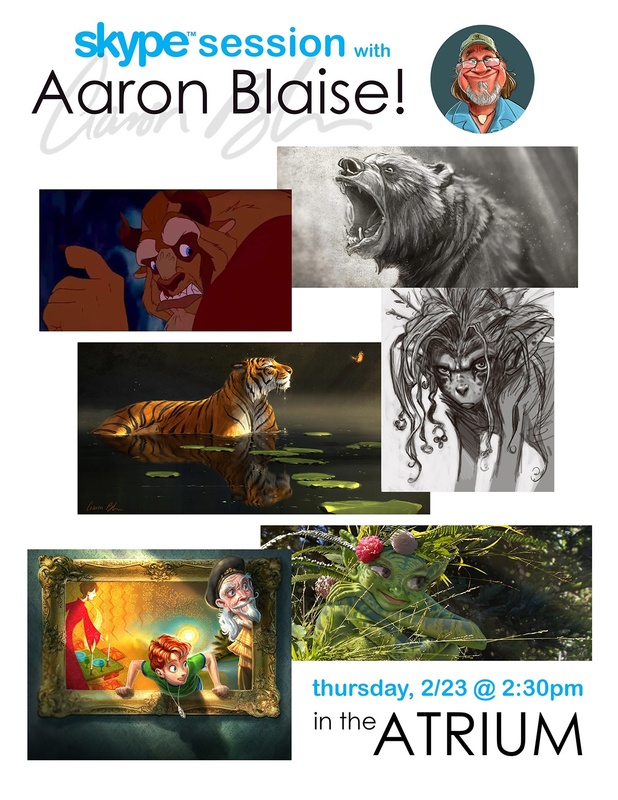 Aaron is an acclaimed artist and animator, best known for his work at Walt Disney Feature Animation where he was a supervising animator on such films as The Lion King, Beauty and the Beast, Aladdin, and Mulan, and was the co-director of Brother Bear which earned an Oscar nomination for Best Animated Feature. He is also an accomplished illustrator, visual development artist, and painter. He works in both traditional and digital media and his art is highly influenced by his love for animals and nature. Aaron will be offering his advice to students entering the industry and speaking about his own artistic journey. The Skype session is open to the entire PCA&D community and the public .